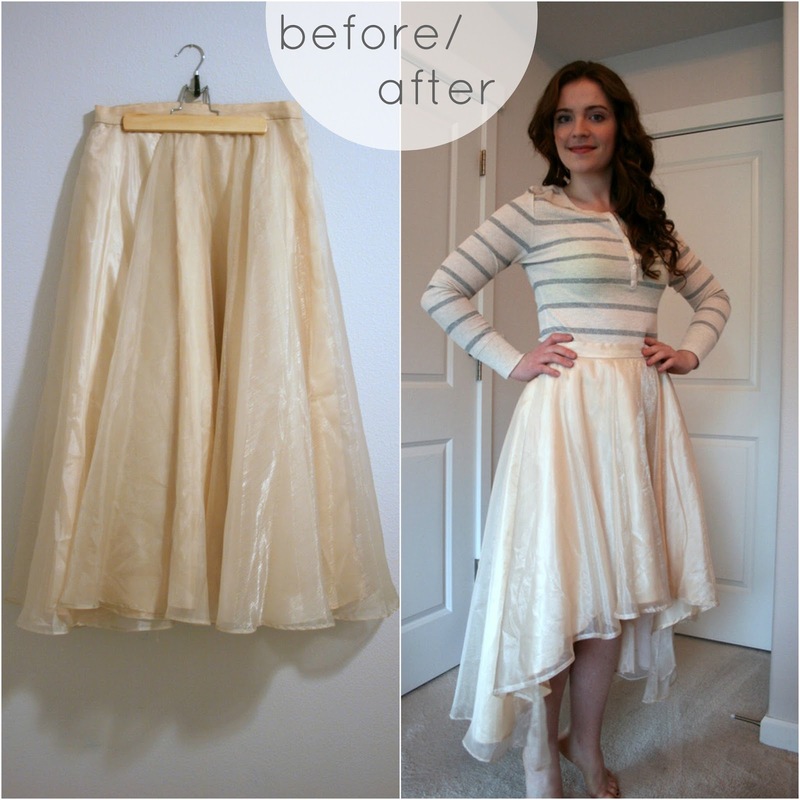 Funky skirt remake: shimmery high-low party skirt! After my series on holiday party dresses, and after pinning holiday outfit ideas recently and seeing lots of glitter and shininess and pretty colors at stores and online, I'm getting excited for holiday party wear. So when I found this vintage (practically) 90's circle skirt at Goodwill recently, I had a vision of a pretty party skirt with a high-low hem. So I folded down the center front of the sheer poly organza outer layer, lining, and net under layer, and cut a curve in them to the side seam. Then I unpicked the hem near the new edge and hemmed the newly cut part, merging the hems. Fun to twirl in, full, great with heels--or on tip-toe, so you can get the effect! 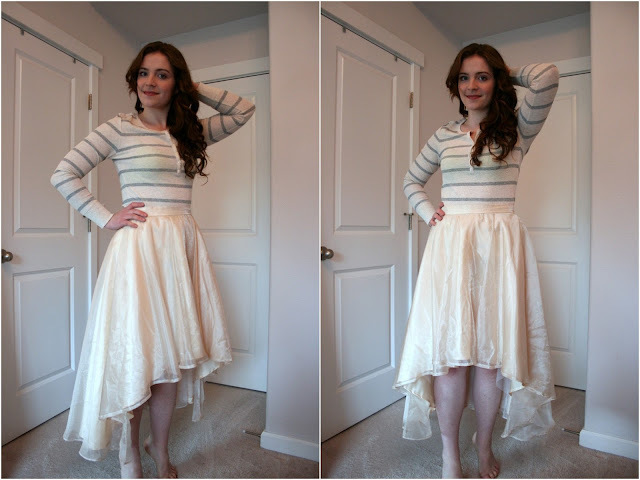 Outfit ideas for a holiday party with this pretty pale, shimmery skirt? I love that! I would totally pair it with a forest green top! Wow, that would look amazing with a pair of heels and a bodycon top! A kindred spirit! I buy items at Goodwill and reconstruct fabrics into something new. Your skirt is a winner! Love this skirt, Suzannah! Such a modern upcycle - and it looks fantastic on you! Love love love this. May have to make my own version!